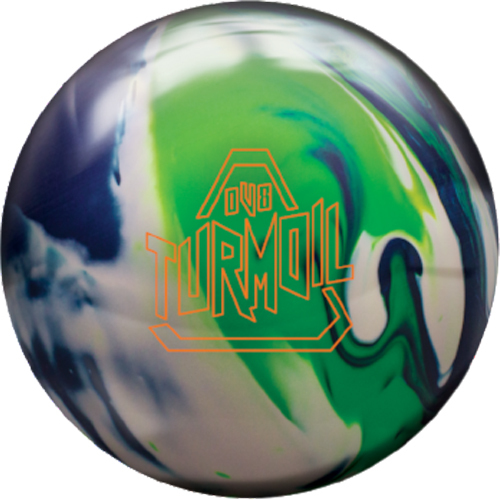 We are giving away a DV8 Turmoil Hybrid to a random poster from April 15th through April 21st, 2019. Every post made on BowlingBoards during the dates listed above will be considered an entry. Drawing will be done the first business day following the contest period. Winner will be contacted via email and through BowlingBoards.com. Contest winners will receive Free Shipping within the contiguous US. Winners from other locations are eligible to win but will be responsible for actual shipping costs to their location. BowlingBoards is a moderated site and reserves the right to delete any post deemed illegitimate, automatic, or just plain off topic. Members of Bowling Boards' Facebook page (www.facebook.com/bowlingboards) are also eligible to win each week. You must "Like" the Bowling Boards Facebook page and comment/like/share on the weekly giveaway post to be entered to win that week's contest. Think of these as separate entries. Better odds of winning! The goal of BowlingBoards is to bring more people into our community. Participate in the conversations happening here. And while you are at it, you will be earning entries into our drawing. IMPORTANT NOTICE! -- We reserve the right to redraw a winner if the winning post is not of quality content. Quality content is at the sole discretion of the BowlingBoards.com administrators. This means that one word posts will not qualify. Repeating what someone else has said does not qualify. Just participate in the conversation instead of "trying to win" a drawing. The more you participate, the better your chances. Great looking top quality ball. Would love to own one.